Most real estate agents offer glowing testimonials on their websites from satisfied home buyers. Maybe you have thought to yourself, "I'd like to speak directly with those 'satisfied home buyers'." Well, you can! Although I am protecting the personal information of my clients, if you contact me and tell me which ones you would like to speak to, with their permission, I will give you their contact information. A Seller's Agent would say this is "CUTE" and "Only needs a little TLC", but an Exclusive Buyer's Agent will tell you it's a SHACK and you'll need a BULLDOZER! e-Newsletter Weekly Martha's Vineyard Market Report. "...Your Inner Circle e-Newsletter's are like Christmas to me! I love getting them and opening them up to see what's inside -- Joy and Excitement!" "Scott and I wait for your weekly newsletters like it was Christmas morning every Saturday. Whoever notices that it has arrived first, "It's here" is exclaimed and then we sit down, he with the ipad, me with the laptop. (alas, we are unable to share you..each of us must have you to ourselves)." "Your Inner Circle e-Newsletter is extremely interesting. Really wonderful. I especially like that you permit a lot of your personal opinions to seep through, you humorously point out the foibles of overpricing and price reductions, and yet you simultaneously identify good opportunities in all price levels. "It seems to me almost anyone, from a young family with modest assets, to a buyer looking for a very substantial property, would find your e-Newsletter very helpful." A Satisfied Client tells me why he believes the decision to hire an Exclusive Buyer Agent on Martha’s Vineyard is a ‘No Brainer’. As an Island homeowner, I find that friends often ask about our home buying experience with the hope that we will provide guidance to facilitate their search. My first and only recommendation: Hire an Exclusive Buyer Agent. They will represent you throughout the process from start to finish. Although I am not a real estate professional, I feel the lessons learned and the experience gained during my own home purchase with you by my side provided me the unique perspective to offer advice to others seeking the Martha’s Vineyard lifestyle experience. While I sense more people today contract for the services of Exclusive Buyer Agents than in the past, many home buyers still just don’t think about it or don’t believe they can actually have someone passionately represent their best interests at all times. This was certainly my friend’s mindset. In part, I think it is because people believe it will be more costly. They think there has got to be a catch. I thought you might be interested in how I describe the benefits of your type of service to my friends. Level the playing field. The seller has professional representation, why not you? I read that phrase on your website and it made sense. I note that seller agents have ethical responsibilities to consumers on both sides, but understand seller agents are contracted by the seller to promote their best interests. As a matter of law in Massachusetts, consumers are asked to sign an agency disclosure form acknowledging the fiduciary relationship of the agent showing them property. If the agent has identified themselves as a seller agent they are not working for you. If the agent has stated they are a facilitator, they are not working for you. But if they check the box marked buyer agent are they working for you? After all, this is just a disclosure and not a legal contract. I tell my friends everything is explained in detail on your website including that fuzzy area called ‘dual agency’. When I understood how it worked I realized I would feel more confident dealing with an Exclusive Buyer Agent with whom I had a direct contractual arrangement. An agent who answers to me alone, not the seller, thereby eliminating any potential conflict of interest at any time. That’s another point I make; I explain that I was glad to enter into a written contract with Peter and I found it reasonable and even validating to give him what he indicated would be a refundable retainer. Frankly, I was shocked when I received my rebate. My search lasted well over 9 months and I received significantly more value than the amount of the retainer given the amount of time spent dedicated to my search. I had forgotten all about it when he pushed the rebate check across the table to me at the closing. So it really did cost me nothing to be represented --- a no brainer! And now I did not have to worry about how I was going to pay for lunch after the closing. Demystify and Guide you through the Entire process. There are a lot of different things going on during the home buying process and it is imperative to have someone with experience and “local” knowledge by your side. This “insider” perspective provides value throughout the process to benefit you during your search, the bidding process, the price negotiation, the discovery period, the retention and coordination of service providers required to close, and closing logistics. It became clear to me early in the process that having “local” advice is a prerequisite to succeed. As a result of the care I received, I had a seamless and uneventful close. Post Close Services. As a non-resident Islander, we often times have a need for various concierge services. Now I’ll admit this is not typically part of a real estate agent’s obligation, but Peter always said he would not leave me after the closing, so I knew I could count on him when I needed something. Over the last few years he has provided me with contacts to help with things like caretaker services, electricians, plumbers, exterminators, landscapers and house keepers. You will at some point need at least one of these. Trust me; it’s best to have a reference. Maintain Peace of Mind. I was not on Island for much of the day-to-day dealing leading up to our closing. Nonetheless, I was as informed and involved as I wanted to be and learned very quickly that I was dealing with and relying upon a safe pair of hands. Very simply, I can’t imagine that we would have maintained the same level of comfort relying exclusively on the seller’s agent. I generally end with the assertion that I don’t know why anyone in their right mind would elect to go it alone, especially on an Island characterized by six very different towns with distinct rules and idiosyncrasies. The bottom line is that to me it is a no brainer and makes total sense to have a buyer agent, but not just a buyer agent, an Exclusive Buyer Agent, and not just any Exclusive Buyer Agent, SplitRock Real Estate and Peter Fyler. I am sure that there are many reasons to retain the services of an Exclusive Buyer Agent beyond those I pass along to my friends. I hope you find my description of the benefits mildly interesting, if not entertaining. "I must tell you again how much I look forward to and enjoy viewing your web page and reading your Inner Circle e-Newsletter reports. In all my years of dealing with real estate, I have not experienced such a positive, constructive and valuable approach. Of course, I understand that your commentaries are "the 'soul' opinion of the author". However, I trust your judgment, motivations, experience, and of course your many years of getting familiar with the MV real estate market. "The wording in your commentaries cuts through the chase and provides real usable information that can benefit your clients. Observations like "there is a fire siren that sounds" or there may be "unfavorable smells", or "heavy traffic" etc., etc., etc., are great pieces of information that allow the buyer to make an informed decision. When I read your comments I always come away believing you are unbiased, objective, fair, and absolutely working on behalf of the buyer. "In the short time you have been producing your reports I feel like I have gotten to know a lot more about the MV market. I have learned a tremendous amount and have gotten a much better perspective on how property value is assessed / determined in MV. As you once told me --- you believe the best buyer is one who is educated about the MV real estate market. You are certainly doing your part to try to make that happen, but you are also serving as a proxy for the entire industry where traditionally there is a limited track record in "telling the unvarnished truth". I only wish you could have been doing this service in Wellesley when we purchased our home in 2000. "Please keep up the great service to your clients. I believe your approach is one of truth and transparency to buyers, and it flies in the face of the old axiom of "buyer beware". Being a change agent isn't always popular or embraced by everyone. However if your goal is to help people and act in their best interest, you are most certainly accomplishing this objective. My best regards and thank you for the time you invest in your research, commentaries, and communication to clients. " "We first met Peter in the summer of 2014 as we were departing our rental in Vineyard Haven -- a house that Peter had just helped his clients buy and that we had fallen in love with during our stay. That chance encounter as we were packing up our car began a long friendship. Four years later, we now have our own house on the island and there is no way we could have done it without Peter. "Peter’s knowledge of the island and real estate market, along with his professionalism, patience and willingness to answer any question gives his clients a huge advantage in a competitive market. And during the inspection and closing process, you’ll find you have no better advocate than Peter, who on our behalf sought out contractor estimates and professional advice to ensure that we were comfortable with all the information received during the negotiation and inspection process. Peter knows all the players in the market, and the buffer that he provides between you and the real estate agent is invaluable. "Reading through the other testimonials, we can tell you that all accolades are true. And we should know because it took four long years to find the right house and Peter was there with us every step of the way. He never once pressured us into a sale and always was respectful of our opinions. You’ll get to know Peter just by reading these testimonials. We’re happy to finally add ours. " "Even if you never thought seriously of purchasing a home on Martha's Vineyard, you might reconsider just to experience the first class professionalism of Peter Fyler and SplitRock Realty. Peter truly exemplifies what it means to be an ethical realtor working on a client's behalf. "His knowledge of the Vineyard and expertise as a buyer's agent simplified the entire process, from his candor in evaluating properties to his literal hands-on approach to matters relating to the inspection and negotiation. "He is always willing to help on any question and it has been a pleasure to work with him." "Reading Peter’s website the thought of using a buyer agent appealed to us and we called Peter about a home we knew was for sale in the area that we usually rented. Peter asked about our wants and reminded us that a second home is not a need. With input from Peter we determined the home we called him about would not meet our wants. It was kind of disappointing but Peter was openly honest about the property and we decided to move on and not pursue it. "We kept a dialogue with Peter, followed his weekly emails and occasionally asking him for thoughts on a specific property. Eventually, we found the property we wanted to purchase and closed on the property. "The process of buying an Island property was much more involved than we envisioned but it was reassuring to have Peter guide us through the entire process. Peter is more of a trusted advisor than realtor. He has advised on various Vineyard dealings no matter how large or small. I could not imagine taking on this purchase without Peter. "Peter reminds me that’s he is still available to help with any advice he can offer for on Island needs that we have. He continues to provide value beyond measure. " "As a First Time Home Buyer you could not ask for a better Advocate. When my wife Julie and I decided it was time to move out of a rental home and join the world of home owning I knew there was only one choice for a Realtor, Peter and SplitRock Real Estate. "I have known Peter for a little over 5 years through various encounters with my previous. I grew to know him as a very particular person with high expectations. These were all qualities that any buyer would dream for in a Buyer’s Broker. "We looked at several properties, submitted 3 offers to purchase and were accepted 3 times, not many could say that especially all of that happening in 3 months. The first two deals fell through, the first due to quality of the house, second due to another broker’s failure, but the third stuck. At each of these homes Peter spoke to seemingly everyone who had ever had anything to do with the home and delivered me information. In some circumstances, this was more than even the owner knew and EVERYTIME tenfold more than what the seller’s agent knew. "For each of these homes he would arrive at the showing with a packet of amazing information, go through each room, and ask to see each attic, basement, or crawlspace. One time he even found a ladder on the site and climbed in the attic and took pictures. He truly goes above and beyond what any buyer could dream of during the home selection process, but that isn’t even where he shined the brightest! "He was ever present up to the very last minute of our closing and I still call upon him when I have a question. I can say very definitively I would not be in ‘Our Home’ without the fervent and tireless efforts of one Peter Fyler and SplitRock RE." "It has been two years now since Peter helped me find the building lot of my dreams. I truly appreciate all the hard work he did for me over the years; no it wasn't easy finding the right place to build. "However, he stuck with me until he found the lot to build my second home. "Peter's service continues for his clients long after the purchase with extraordinary service and caring. "Thank you Peter for all you do." "I just want to thank Peter for the outstanding job he did in helping to push forward the purchase of my first home ever. "Although buying a home in not “rocket science” as he put it to me; I think just about anything that could be an issue became one. But there was no situation daunting enough to stop Peter from forcing this sale through. "I say forcing because the seller and the seller's agent were away on vacation the entire time so Peter jumped through hoops, visited town hall departments and made tons of phone calls making this sale happen. "Again, I want to thank and commend Peter who throughout this process remained positive and kept pushing forward. I could never have done it without him." "For anyone considering purchasing property on Martha's Vineyard, I enthusiastically recommend Peter Fyler as the only buyer's agent you should ponder. He assisted us in determining a reasonable offer price. His thorough knowledge of the marketplace and negotiation skills allowed us to purchase the property at good “value”. Additionally, Peter contacted a reputable home inspector to evaluate the property and kept us involved throughout the process. "He’s very proactive in every aspect of the real estate transaction. Peter’s services will go above and beyond your expectations such as assisting the lender, insurance agent, seller agent and attorney to close amidst a nor'easter blizzard with 3 foot snow drifts on island. "I am an active real estate developer in the northeast and without any reservations this is not my last transaction with Peter. I look forward to the next deal." "Peter was instrumental in helping us achieve our goal of buying property on the Vineyard. He possesses all the right qualities to assist a homebuyer in making the proper purchase: Knowledge of the island, experience, work ethic, and superb communication skills and easy to work with. "We knew right away after meeting with Peter and sharing our goals with him that he was the perfect fit. He understood exactly what we were looking for and knew which properties to show. We always knew that he had our best interests in mind. "After we signed our purchase and sale contract, Peter continued to work on our behalf as we were not able to be on the Island to handle certain details. His commitment to his clients truly extends after the sale...and we will continue to lean on him for advice as our process goes on. "When preparing this testimonial to the outstanding services and character of our Exclusive Buyer Agent, Peter Fyler, we thought it would be useful to read those shared by some of his other clients—primarily for “format”. We already knew what we wanted to emphasize: Peter’s organizational and preparation skills; his incredibly broad knowledge of Martha’s Vineyard; his integrity and honesty; his instincts about human nature (especially where a married couple is involved! ); his unwavering commitment to his clients--the buyers; his timely outreach and follow-up; his broad network of knowledgeable home inspectors, mortgage bankers, insurers, and contractors; and his demonstrated commitment to keep in touch, well after the closing and execution of the sale. "So, after reading many glowing testimonials by Peter’s other clients, two things jumped out at us; first, that to virtually every compliment paid to Peter, we could say “We echo that”. And second, it occurred to us that we could offer an additional, enormously important accolade—namely, that Peter is a professional of well-demonstrated consistency; that he obviously brings the same commitments to the table with all his clients and that he follows through with great passion for his mission. In short, Peter not only says what he will do, but does what he says. "For nearly twenty years, we have been blessed with wonderful vacations on the Vineyard. Each August, we had rented lovely homes offered by generous families. But in the summer of 2013, the year of our 20th wedding anniversary, we decided to “make it official” so to speak, and purchase our own home on the Island. A friend referred us to Peter, and over the course of just several months we moved from “wishful thinking” to a remarkable new reality in the legacy of our family—owning our own MV home. "Beyond all the professional and personal qualities about Peter noted above, there was a particular instance in our home quest with Peter that spoke volumes about the wisdom of retaining Peter. We were touring a home that had a lot of appeal—price, size, location. But Peter would not let go of the fact that there was persistent musty odor. He insisted on getting on his knees, with a small flashlight clenched between his teeth, and dropping down into the crawlspace. After about 30 minutes of hunting around in that space, he located the source of the problem, advised the sellers’ agent that her client had a serious issue, and drove us to the next home on the tour list. We were deeply impressed by Peter’s tenacity to literally get his knees dirty on our behalf. "In sum, we are forever grateful to Peter and look forward to seeing him on Martha’s Vineyard in the months and years ahead, socially. We highly commend his work to anyone serious about buying a home on that glorious island." "When Ali and I decided we wanted to buy on the vineyard, we were terrified. But we knew we had to give it a shot. We could settle for off-island if and only if we tried, and failed, to find a house we could afford on-island. "Of course, Peter found it. He made the arcane seem easy and helped us through a fairly serious problem that cropped up. His dedication to his clients is every bit as superlative as portrayed in these testimonials. His knowledge of nooks and crannies and how do get things done is staggering. "Don't mess around with some ham-and-egger, call Peter." "We can’t thank Peter enough for the assistance he recently provided us in acquiring our vacation home on the island. While we are no strangers to the Vineyard (this is our 2nd purchase), this was our first experience with a buyer broker. While we were a bit apprehensive about executing a buyer broker contract, this apprehension was quickly dissipated by his professionalism and overall knowledge/advice of both island properties and the acquisition process in general. "Peter is extremely responsive and always kept the process moving, while making sure that we were informed during negotiations and contract timelines. Even while tending to some highly sensitive personal matters that came up during the contract period, Peter was right there for us and never missed a beat. Moreover, what makes Peter both unique and a valuable advisor is his ability to be honest and upfront during negotiations. He truly cares about the buyer and what is best for them when acquiring what in most cases is a very personal and important investment. "Even after the closing, Peter continues to assist us in dealing with some minor matters related to the property. His continued support after the closing leads us to conclude that our next realty purchase more than likely will be executed with the assistance of a buyer broker and if the purchase is another island property, he would be the first and only person we contact. Lastly, I highly recommend Peter to others seeking to buy realty on the island. "Peter – Thanks so much for all of your help….We truly appreciate and value your advice and support!!!!" "With a year-round residence in mind, and a host of requirements on what is considered a shoe-string budget on the Island, as well as a tight time line; we charged Peter with a difficult task. He catered to our schedule and wish list and provided professional service and advice. With an initial setback due to an unsatisfactory inspection on our first property choice, Peter was able to recommend a great alternative and helped us make our dream a reality within three months from start to finish. "If you need solid buyer representation on the Island, look no further." "Dear Peter, I hope this letter greets you well. Somehow, “Thank you” doesn’t seem enough to say for all that you have done and continue to do for us. Of all the Buyer Agents on the Island we were very fortunate to be with you. I enjoyed our conversations, though often provocative and even confrontational, but always respectful. The older I get I am dismissing the adage that after your 30’s you really don’t make new friends, just business relationships and casual acquaintances. I look forward to sharing coffee, wine or something with you in the very near future." "While it is definitely true that Peter Fyler is a consummate professional who puts the needs and values of his client above all else and executes his job with rare integrity and dogged efficiency, what amazed me the most was the discovery that his “job” was really a “calling” to him. He may disagree, but it certainly felt to me as if he was on a sacred mission to ensure that I found my own peculiar little piece of heaven in which to rest my weary head from the daily struggles of life. "Peter is an artist, with an artist’s instinct, eye and intuition. He listens, reads you and then discerns which little patch of his blissful little island would bring you the most joy...which then of course makes his joy complete. If this kind of passion on your behalf, moves you, then you could find no greater gift from the gods. "Thank you my darling Peter. Bless you. I just love my little house!!!" "Peter is extremely well informed about the lay of the land, in Island terms. From the types of homes, villages and rural areas, ponds and beaches, he can tell you what town is right for you and find you the right house. "We live in New York City, so coming to the island to view houses was not an easy jaunt. Peter orchestrated a series of appointments for me to see over 10 houses in just one weekend, complete with a comprehensive booklet that included a complete set of pictures and information. My husband never saw the house we bought until the day we closed because Peter's pictures were so complete. "It was important to us to could find an agent who would really listen to our needs. Nobody ever listens to me. 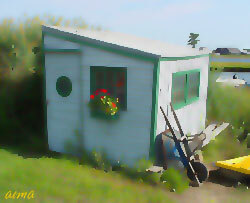 Having summered on the Vineyard for many years, I was very specific about my wants and needs, I wanted my dream house. Once we found it, Peter was tirelessly determined, working on just the right terms so that we could make a deal. We are now proud owners of the house I have dreamed of for years. "One thing I learned quickly is that Peter knows EVERYBODY... I mean everybody! From Attorneys to Inspectors before you buy, to trades, caretakers, housekeepers and all the other people you will need after you buy. "The job doesn't stop for Peter once the house is bought. His dedication includes concierge service to get you acclimated to Island life. "I don't know how we would have done it without him." "This letter comes to sincerely thank you for the EXCELLENT job you did in representing me in purchasing my vacation home on Martha’s Vineyard. "At first, I was so excited about this venture, but soon realized that the possibility of owning a home could be somewhat problematic in terms of finding just the right location, house and all that goes along with financing a property (bank, lawyer, appraisal, dealing with the seller…). However, Peter, you provided excellent advise, leadership and guidance. You never once left me standing ‘out there’ alone. Mostly, I appreciate your honesty and ongoing communication with me that kept me well informed of the purchasing process. Even now, you continue to advise me of house-related matters, such as, referrals of quality plumbers, electricians, carpenters, painters and caretakers. Wow! You are such an ADVOCATE for the buyer… thank you for that! "Now, I am a happy New Yorker who owns a little piece of ‘heaven.’"
"Once again Peter, thank you… thank you." "Peter helped us locate, buy, and settle into the vacation home of our dreams after many months of searching. He knew every neighborhood on the island and took the time to find out which one would best support our lifestyle by taking the time to understand our wants and needs. He was incredibly responsive and supportive throughout the process. We would not have purchased a second home without his help. He makes the process enjoyable and does the research required on each property to give the buyer a feeling of comfort. His straight talk and great sense of humor helped us get through a process which can at times become stressful. Since moving in, Peter has continued to help us navigate the island He is recommending contractors and service providers along with being a friend. Partnering with Peter absolutely sold us on buying a home with an exclusive buyers agent. If you are considering buying on Martha's Vineyard, Peter is the buyer's agent for you. Peter, thank you for always having our best interests in mind." "I write the following to commend Peter Fyler for his exemplary work as our exclusive buyer’s agent. He exceeded our expectations in just about every way imaginable. "After I initially reviewed Peter’s online materials and first spoke with him over the phone, he appeared to be a professional who worked hard and took his job fairly seriously. But as we all know, one first has to experience working with an individual before one can draw firm conclusions. Well, my wife and I have worked with Peter directly and we have first-hand knowledge of the exemplary work that he has done for us. "We never felt pressure from Peter to buy a property. He is the most patient realtor we have ever worked with. We appreciated this characteristic of Peter. At times, I almost felt guilty about all the work that Peter would do for us when we would ask him questions. I cannot recall a time that Peter ever declined to assist me with a Vineyard real estate matter. Second, ask Peter a question, and his responses were always very timely, and, more importantly, incredibly thorough. Peter is a master of email communications, and likewise, a very effective communicator by phone and in person. I would be highly surprised if anyone is ever disappointed with the comprehensive way that Peter goes about responding to his clients’ email inquiries. Many of his emails are gems filled with helpful information that I expect to occasionally refer back to during our home ownership. Also, be ready for a treat when Peter shows you properties on the island. With minimum lead time, he provided us with a professional looking portfolio containing each house listing with tabs, photos, property information, tax records, and an itinerary! A nice take-home item for future reference as you reflect on all the houses you viewed. "Peter does not hesitate to offer his opinion about real estate, and we valued this very much. In my general experience, it is common for dual agent realtors make an effort to understand what their “clients” hot buttons are, and then downplay them to try to make a sale. Not so with Peter. No sugar-coating. He speaks his mind, even if it will turn you away from a property you are interested in. I never sensed an ounce of selfishness on his part. There is no doubt in my mind that Peter had a genuine concern that we find the best house for us. What more could a home buyer ask for? "At times I disagreed with Peter, yet it was always in a mutually respectful manner. Peter stands up for what he believes in and he has a true passion for real estate. When someone has a passion, you need to expect that passion to show through from time to time. Buying a property is serious business, and Peter understands this fact. His passion has the effect of making sure you make the right purchase decision. "Peter not only represented our interests in the most loyal manner, he also stepped up to the plate when we ran into difficulties jeopardizing the purchase of our dream house. When the going got tough, Peter, who was already “going” full steam from when we first engaged him, next kicked it into overdrive. He was our warrior; he put our interests first and foremost, and we were able to achieve our goal. He followed my directions to a T, he offered his own advice, he exhibited good judgment, he never gave up, and we succeeded in achieving our goal! "And even after we successfully closed on our house, Peter remains ready, willing and able to assist us, and in fact does still assist us as of the date of this writing. Peter remains a valuable resource to us, and, aside from this, we hope to have the fortune to stay in touch with Peter indefinitely as friends. "In sum, we feel very fortunate to have engaged Peter as our exclusive buyer’s agent -- he is a true professional. "It is without question that I will refer each of my friends, colleagues, clients and acquaintances who are interested in a Vineyard real estate purchase to Peter Fyler of SplitRock Real Estate!" “Peter Fyler, where do you start, when you have been working with someone on one of the most important decisions of your life? Yes, buying a home whether it’s your first or second is still a very big decision. So having someone by your side that you can trust is so important. We started the process 3 years ago and it has taken many trips back and forth and a great deal of patience to get where we are now. That is to be proud owners of our dream home on the Vineyard. Peter throughout this time has been a friend, confidant and advisor that we could not have done without. I think his position to only work one side of the deal is both smart and comforting. I could not praise him more in all of our dealings. Peter, thank you…." “Peter Fyler is far and away the best realtor with whom I have worked, and I have worked with several realtors in the past and am not the easiest person to please. He was diligent in the real estate search, knew each property, helped me define what I wanted and had clear opinions about each property. He is extremely trustworthy and loyal. “We first visited Martha's Vineyard in 1994 at the suggestion of a friend and we have returned almost every year since. We had been looking at real estate recreationally for about 10 years when, last year, we came upon Peter's web site. We liked what we read so we arranged to meet with him during our vacation and decided that his unique services were exactly what we needed to move forward comfortably and leisurely, without pressure. We hired Peter and eagerly anticipated his weekly Inner Circle newsletter. Reading it thoroughly became a Saturday morning ritual. Over the following year, we would occasionally write with a question and Peter would consistently respond with his insight immediately. We thought we knew the island well but Peter provided us with invaluably relevant, critical back stories on every property that we never could have known or would have received from a traditional seller’s agent. We were fully prepared for this process to take years, but he very quickly sized up our needs and our lifestyle so our time was not wasted with a shotgun approach to finding a place. “Then, last summer, while there on vacation, we asked if he could show us a few places that interested us. He quickly arranged for the showings but also suggested a house that had just come on the market which he thought would be perfect for us. Immediately upon seeing it, we knew that this was the house we had been looking for and, with Peter's input, constructed a bid. He then arranged for a "buyers" home inspection, the kind no seller wants to see. When the inspection revealed issues, Peter produced craftsmen to provide assessments and estimates for repair, and issues were resolved to our satisfaction. He spent countless hours at Town Hall researching records to insure that we would minimize any unpleasant surprises after taking title. Issues were uncovered and subsequently cleared up. He provided an edited selection of attorneys, bankers and insurance companies for us that he knew were reliable. We had many questions and Peter responded to our incessant e-mails immediately. “Although we have now successfully closed, Peter continues to follow up with us regularly providing recommendations for plumbers, landscapers, electricians, carpenters, housekeepers and caretakers. His service did not end at closing. We have bought and sold a half dozen homes over the years and can state without qualification that we have never experienced such extraordinarily professional, competent, candid and friendly service from a realtor. “Much has been said about Peter's professionalism, but perhaps not enough has been said about his kindness and generosity with his time. “My needs were incredibly specific: I needed a house very near my father, at a price so low that few properties were within my budget, and the house had to be one that I could quickly modify to accommodate my son's wheelchair. After an initial search I went back to Boston in despair, but Peter found my house. He then spent a full day taking measurements and emailing diagrams so that I would be sure a wheelchair could pass easily. “I would like to take this opportunity to thank you for your services and tell you how glad my wife and I are that we chose you as our Exclusive Buyer Agent. “Moving to the Island full time was no small task, especially given that our particular purchase was no “cut and dry” matter. Having you on our side with real estate matters as well as some other incidentals that popped up alleviated much stress and made the transaction that much smoother. Thanks again." “Peter Fyler found my house for me and provided all of the contacts for services I needed to settle in at the Vineyard. I appreciated his honesty when he deterred me from looking at some houses he considered inappropriate for my needs. “After the closing he was still helping me organize all of the details for my new home. Peter made an incredibly stressful process much easier for me, especially because I live in New York. “We decided that we wanted a house on the Island – easy peasy, so many realtors it’ll be a doddle – just pick one and off you go – yeah right and pigs fly. “We set about finding a representative – we had spent hours pouring over the real estate freebie guide that resembles a phone directory and too many hours on the web looking at sites and listings. It was during one of these research journeys that Stephen looked at the SplitRock Real Estate website, he was impressed. He said to me I think we should chat to this guy he has a lot of information on there, not the usual blurb either. I’d never heard of a buyers agent before but it makes perfect sense to me – I mean what realtor that you know of has pictures of the water heater and breaker box that he’s going to send you in an e-mail. “So we made a list of our requirements – some essential, some wishes. Arranged to talk with Peter over the phone and see if we thought he was as good as his website (some times people can have a wonderful website but be as thick as two short planks and be completely wrong for your needs) Anyway we talked to him and arranged to meet when we went back. We had already decided to go back to the island for another 2 weeks and do some house hunting. “In the meantime he sent us e-mails of houses that he thought we may be interested in because of our previous discussions along with tons and tons of pictures to help narrow down our list. “We scheduled 2 days of viewing – some we had requested to see and that Peter agreed with and some that Peter suggested and also some that we wanted to see that Peter didn’t think were what we needed but took us anyway just to prove his point. “Found a house, Peter helped us organize an inspection, a very thorough inspection. Lawyers, electricians, engineers, organized the Radon test and then basically fought (I mean negotiated with) the seller to the end to get everything corrected and adjusted. Peter took as much time/effort and care as he would if it was going to be his house. Throughout the process he made sure that we were informed of the progress or at times lack of it. So much so that he understands our English sense of humor now and some of our slang phrases. “Peter Fyler, our exclusive buyer’s agent, was our biggest advocate during our home buying experience. He didn’t try to sell us a house. Instead, he helped us find a home. “We quickly realized that Peter’s services included more than just informing us about properties. At times, he was our motivational speaker, voice of reason, handyman, and father figure. Peter offered his professional opinions on properties – good and bad. “When I was finally past window shopping and ready to make a purchase on the Vineyard, I looked into the two buyer brokers on the island. I perused both web sites, called and talked to both and for reasons to my advantage, chose the best. One was a little too full of too many people and too little information and the other was just one bold guy who knew what he was talking about. Being from the South, I wasn't too trusting of Yankees in general, but logic and an innate curiosity had me sign up for his general mail list, and was I ever impressed! “But that was just the beginning. Get to the second level and sign him up as your agent and you get a real education. When you read his Inner Circle e-Newsletter, you have a wealth of information to work off of, straight talk about the housing market and what to look out for. And what does it cost you to get all this? Absolutely nothing! He works off the normal commission of the real estate sale, if and when it happens. “Peter and I whittled down the list over email and telephone. I asked a lot of questions and he answered them all. My wife was on the Vineyard attending an artist’s workshop, so I asked her to spend a day with him. The great thing was I hadn't been there for five years, and between them both, I had two sets of eyes with diverse viewpoints. I was definitely there in spirit and was able to visualize everything happening. They looked at fifteen properties on that day. Out of the fifteen, there was only one I considered buying from a distance, as the location and neighborhood just felt perfect for us. “Funny thing about this dude is that he's not just happy to get a sale; he's happy to get the best deal for his client. When we found the one property we wanted on that day and after some initial negotiating, he couldn't help himself, as he successfully eked out a couple more grand for me. He would rather lose a sale than put you in the wrong property. It boils down to decades of experience in the housing market on Martha's Vineyard, coupled with integrity. You will not be steered wrong. “And after the sale, whether you live on the island or off, his newsletters keep coming if you so wish, not only keeping you abreast of the market, but keeping you entertained as well. Thus, another reason I don't need television! “We recently closed on a wonderful home in Edgartown. Peter Fyler's professionalism, expertise and knowledge about Martha's Vineyard's real estate made for an overall first rate experience. “From the beginning of our relationship, Peter took the time to understand our requirements and focused his search to meet these requirements. He was always available to answer our questions and spent the time researching information for us. “Peter is objective, measured and balanced in offering his opinion and insight, which was very much appreciated and welcome given the recent turbulence in the real estate market. Peter was well prepared for our visit, as he greeted us with a comprehensive book detailing the homes he arranged for us to visit. The value of that book was not completely appreciated until we returned home and used it as Bible over the next several months as we continued our search. “Peter went to great lengths to be sure our every question was answered and every need met. The purchase process was handled professionally from the initial bid right through a flawless closing. Peter's recommendations for an attorney, bank and insurance company were also key to a successful close. “Our relationship with Peter did not end at closing. He made sure we were well acclimated with the area and continues to inform us of items important to Island living. We recommend the services and experience of Peter Fyler and SplitRock Realty without any reservation. "In looking back, I know there were countless times throughout the process that I told you how valuable you were to Dave and I, but I'm not sure I ever conveyed to you that there is absolutely no way we would have ever bought a house on Martha's Vineyard had it not been for you. "We had wrestled with the idea many times before. Dave and I became discouraged because anything that looked interesting was "gone" before we got to it. And then an acquaintance suggested we meet you. You took the time to build a relationship with us and were well aware of our parameters. You gave us a much needed "heads up" when something you believed met our criteria became available, and then provided us with more photos than we could ever imagine plus a complete and accurate written description of the property. "We had NO time to waste to come and preview the house. We had to trust you. Let me say again our family are not risk takers. Buying something sight unseen was unheard of. But by now we had come to appreciate your judgment, your knowledge, your thoroughness and your quick wit. We knew it was NOW OR NEVER. "I think what amazed us most in this process was that you didn't disappear once the deal was made. Your "concierge service" was truly memorable. You were the "go to" guy for EVERYTHING. To this day we still scratch our heads and wonder what our attorney did. We have NEVER encountered someone as professional as you in any real estate transaction we have made in the past. "We wish you all the best and hope that others are lucky enough to work with you." "I am one of that group close to retirement, but far from tired, who has been searching the coasts of the planet for a place to buy. I looked at St.Lucia, Blue Hill, Caye Caulker, Devon, Kerikeri . and one day found myself at the SplitRock Real Estate site. Within 2 days I had made an offer on a place I had seen only through Peter Fyler's eyes. "All that endless searching and anxiety has turned into euphoric expectation. Peter with great aplomb and competence has made my future feel like the greatest of adventures. Everything about the sale and follow-up has been handled smoothly and with delightful humor. I highly recommend using the services of Peter Fyler, it just makes it all so wholesome and fun... not to mention astute." "When we initiated our search for our Vineyard home, we thought we could do some homework online, make a few calls and choose our spot without the assistance of a professional on the island. We were completely wrong. "Luckily, before our frustrations boiled over, we met Peter Fyler. Peter helped us to find the perfect spot, but more importantly to navigate us through the headaches and peculiar intricacies associated with buying on Martha's Vineyard. Most telling, Peter never acted as if we had to buy a house; he made us feel as if he was more interested in us achieving our dream. I can say without any hesitation, that we could not have succeeded in the buying process without Peter. Thanks Peter, and we look forward to having you over as soon as the last brick is laid." "For anyone considering buying property on Martha's Vineyard, I strongly recommend using Peter Fyler as your buyer's agent on the Island. We recently purchased a home there and Peter was our representative. "Peter was much more than just an agent showing us listings off the computer - he was an invaluable consultant throughout the entire process of searching out, evaluating and purchasing our new home. Peter took the time to get to know us thoroughly and assess our needs and preferences, and then showed us a range of properties to compare and helped us understand the pros and cons of each. He previewed several houses before we arrived for our first and only trip to look at property, which made our time spent on the Island very efficient. "Once we had identified the house we wanted to buy, Peter provided important counsel and advice through each stage of the process. Our deal was very complex, with a difficult seller and several contingency issues, and Peter's guidance and insight was extremely important from the drafting of the initial offer through the closing months later. He has intimate knowledge of the Island's quirky politics and regulations, and was able to steer us around potentially deal breaking issues on several occasions. "Moreover, Peter is well-known and respected by other professionals on the Island, and through his relationships we retained a top flight attorney, surveyor, contractor, inspector and lender. "I had never used a buyer's agent before, but after my very positive experience with Peter and his firm, SplitRock, I cannot imagine buying a home without one, especially from long distance. Thanks to his professionalism, skill and constant diligence, the challenging process of buying a home in a distant market was made much easier." "Sharon and I wanted to express formally our great appreciation for all your help in our West Tisbury home purchase. Your patience, attention to detail and zealous advocacy of our interests made this a comfortable experience for us, especially considering that it was done mostly from 3000 miles away. "We are especially appreciative of your willingness to "go the extra mile" to insure our peace of mind in what can be a nerve-wracking experience. "We feel that not only have we acquired a house that will bring us great pleasure, but that we have made a valued friend. Please feel free to use this letter and us as reference in your work." "I've bought several homes over the course of my life, and Peter Fyler is the first broker who truly listened to me. He didn't waste my time with houses that I wouldn't like or couldn't afford. Peter worked tirelessly for me. We both knew it may take a while to find the right second home for me, but Peter was willing to stick with me as long as it took. Because I was remote, on the mainland, but wanted a Martha's Vineyard home, I needed a trustworthy agent to do the legwork for me. I never felt out of touch. "Peter's "fault", if he has one, is that he is very honest. If a house wasn't in great shape, he didn't sugar coat it, he told me the honest truth. This saved me time and money - I only visited the Vineyard to see properties that really matched what I was looking for. As a result, I visited properties twice with Peter and the second time his phone call to me had excitement - he claimed to have found the perfect house for me and said I must come see it. Boy did he hit the nail on the head - the house wasn't yet on the market, and I got the first look and scooped it up. Peter found my dream home within my price range (and I don't have millions, not even one). I would highly recommend Peter and SplitRock Real Estate." "We shared our search criteria and objectives with Peter and he took it from there. We had a limited amount of time to view properties on the Island so Peter helped us plan and organize our search. We started by narrowing the scope of our search by exchanging information about property listings over the Internet. Then on our first day of our arrival on the Island, Peter met us with a well thought out plan. For example, he provided directions and maps that organized properties geographically so we could drive around quietly by ourselves and not waste any time trying to locate a property. Peter combined his knowledge of the Island property and our criteria to help us be more effective in our search. He also reviewed his role as a Buyer's Agent making it clear that our interests come first. "Once we narrowed our choices to a manageable amount, Peter took us to view each home. As we toured each home, Peter always provided his opinion with our interests in mind. It was comforting to know that someone was in our corner. We found a home we loved and made an Offer on our last day in the Island. So with some trepidation, we returned to Los Angeles. However, our concerns about conducting such a significant life transaction from coast to coast were soon alleviated --- Peter Fyler was on the job! He served as our "eyes and ears" on the Island throughout the process. For example, after the standard house inspection some corrective work was required. Peter was very much involved and helped to coordinate with contractors. After the work was done, he sent us digital photographs so we could "inspect" the completed work. Peter did a wonderful job! He followed through when he said he would and was always available to address any questions/ issues. "We could not have done this without the help of a true professional, Peter Fyler. Knowing Peter always put our interests first made the process of purchasing our new home from such a distance so much easier. Yes, he served as our buyer agent and made us feel confident in his abilities to help us meet our goals, but he also made us feel at ease with him and we consider Peter much more than a buyer's agent but a new found Island friend. The personal touch makes such a difference! Our sincere thanks and appreciation to Peter Fyler." "Buying a house is not easy, especially on the Vineyard! It began as a very stressful experience. I remember saying that I was not going to use my heart to make any more decisions, and Peter would remind me that the heart is the most important thing to use. I was ready to give up on the purchase, and Peter told me: "Don't worry, if it is a rose it will bloom"! It did bloom and now everyday I stand on its petals and thank God for it. I am very thankful to Peter Fyler for all his support and services. He was not just a real estate agent he was a good friend."